Ken Ilgunas has hitchhiked 10,000 miles across North America, traveled 1,000 miles across Ontario, Canada in a birch bark canoe, and worked as a backcountry ranger at the Gates of the Arctic National Park in northern Alaska. He’s written for the New York Times and Time, and his adventures and book have been featured on The Tonight Show with Jay Leno, CBS This Morning, and NPR. 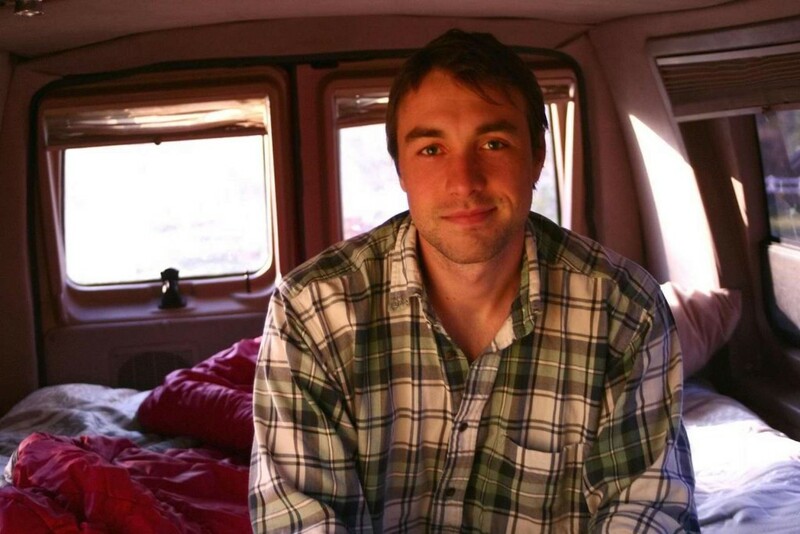 His first book, Walden on Wheels, is a travel memoir about student debt and living in a van for two years while he was enrolled in grad school at Duke University. His second book, Trespassing across America, chronicles his 1,700-mile hike along the proposed route of the Keystone XL pipeline. In this episode, Ken shares the story of what he did to pay off $32,000 worth of student loans in just a few years without following what most would consider a "normal" career path. He talks about his experiences of hitchhiking over 10,000 miles, why and how he lived in a van during grad school, why he went on a never-done-before and sort-of-illegal 1,700 mile hike, and more. We talk about freedom, debt, work, writing, and the liberation of trusting others. I really enjoyed learning more about Ken, especially since his first book, Walden On Wheels, was one of my favorite reads of 2015 (which, if you know me, is saying a lot! ), and I hope you enjoy our chat, too.